Terra cotta pots are a perfect canvas for for great ideas and designs. 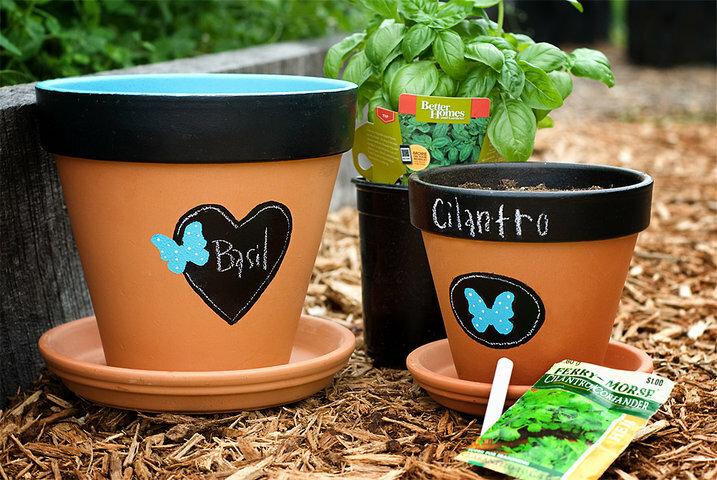 It’s easy to personalize your garden, or indoor plant pots with a few suggestions of what you can do! You just have to know what you want as far as a final design. Maybe you can use these ideas as a platform for modifying a new idea? Take the picture above, for that matter. You can change the colors and design elements, and use some of the “contrast” in your own idea! So, as I said, this is a starting point for you to springboard off of to make your own awesome pots. Have fun! This entry was posted in garden and tagged Home and Garden, Pots and Containers, Terracotta on November 28, 2013 by reidenhol2013. Who doesn’t love water fountains?! What about making your own custom water fountain out of the materials you choose? The following link takes you to a video that is easy to understand so that you can build your own! Just be creative. You can make a water fountain almost any size depending on the kind of pump you use. 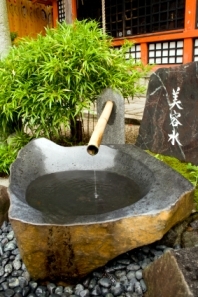 You’ll have to decide where you want to put it and how big your going to make it before you buy the parts, or assemble your fountain from materials you may already have laying around. This entry was posted in decor, garden and tagged Do it yourself, Fountain, Home and Garden, how to build a water fountain, how to make a water fountain, Water Displays and Statues on November 27, 2013 by reidenhol2013. This has got to be one of the cutest ideas for using a pallet to create a vertical herb garden, especially if your space is tight. I just love vertical gardens anyway. I think the thing that sets this one off so good is the script lettering ~ Zina just takes it up to a whole new level with this. If you can’t free hand then you can enlarge some script from your computer and use transfer paper to transfer the design then get a paint pen at the craft store and carefully paint over the lettering. Do not seal with poly because the poly will lift the acrylic paint. Find a spray acrylic sealer for the best results. 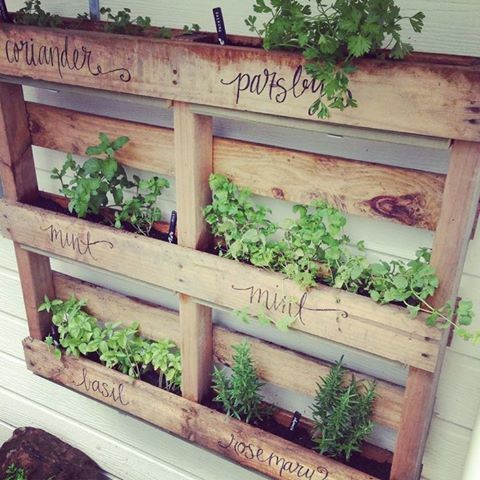 This entry was posted in garden and tagged Cozy Cottage, DIY, Do it yourself, Garden, Pallet, vertical herb garden on November 24, 2013 by Presley-Love. How adorable is this ~ me thinks this might attract bathing fairies … oh my! What an enchanting and fun way to use all of the little shells and rocks you’ve collected. I think this would also go beautifully on your altar in your sanctuary or meditation room. You could also have one of these at your desk at work. If you’re expecting guests, put one of these in your guest room for an extra special welcome. 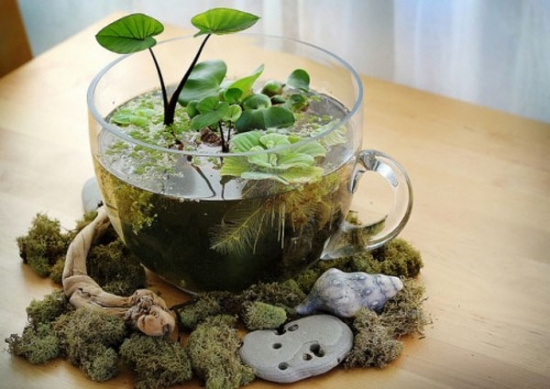 This entry was posted in decor, garden and tagged Cozy Cottage, Do it yourself, Garden, mini water garden how to on November 23, 2013 by Presley-Love.